That’s not special effects. Bjork has actually learned how to make her head levitate. I have to admit, I was a bit disappointed by the new video for Bjork’s latest single, Earth Invaders. 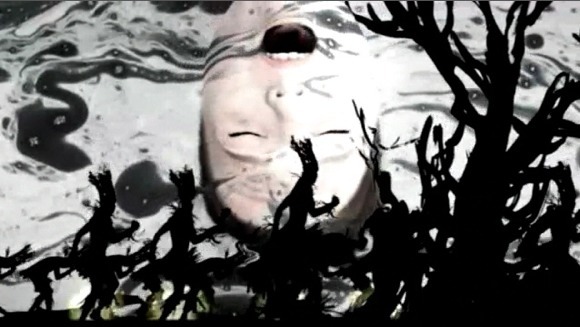 I loved the initial imagery: an organic, swirling background, textures mapped over Bjork’s eerily floating head, and marching figures dressed like trees and branches. Somewhere in the execution, the concept falls a bit short, though. The dancers tend to look like dancers, and the stylized movements (jazz dance? Alvin Ailey?) miss the violent underside of the song. My significant other pointed out that floating, singing heads are a bit of a music video cliche. And then there are moments of disappointment, like when Bjork’s head appears in front of a pristine, mountainous landscape, looking like some sort of ad for bottled Icelandic spring water. Enough of what I think. What do you think? Think you can do better? Think you’re more awesomely visually talented than Bjork’s inner circle of friends. Great news: you’ve got a shot at making her next vid. Bjork isn’t alone, either. 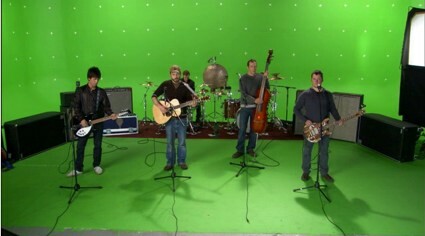 Modest Mouse and Apple have a green-screen contest for producing their video. (via TUAW) All of this is clearly promotional gimmick, but hey, it’s a lot better than sealing a band in an inflated bubble. That’s just … weird. Following suit with other green screen promotions, Apple and Modest Mouse want you to do something with this footage of the band. Unfortunately, they don’t appear to be doing anything cool, like pretending they’re getting squashed by something giant or doing fake lightsaber battles, so I’m not sure what you’re supposed to do with this. What I find interesting is that artists haven’t quite gone all the way with the participatory concept. I’m not one of those people who thinks artists need to open-source all of their music if they don’t want to. But if you are going to invite participation, why not go all the way? Why not provide free access to the material for use? Why not let fans choose which video they like best? 1. Open up video production to fans, and let fans decide which are cool. 2. Hire live visuals for their tour. No DVDs. Great visualists alone. Music videos can be live. 3. Make videos so awesome they make the rest of us look bad. Of course, if any of you do win this and get to hang out with Bjork, send us some Polaroids or something. We salute you. 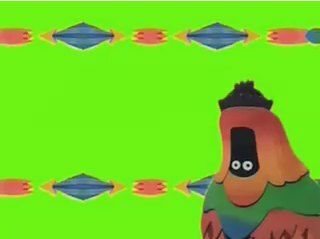 Closing thought: if the official video doesn’t do it, Icelandic papercut animator Birta produced this unusual take on Earth Intruders, with this … um … creature, looking like he/she escaped from outtakes of Yellow Submarine. In a good way. Papercut art character, or new Olympic mascot? You decide.